Note the term “civilians”. The fake war on terror was always intended to bring war to the domestic arena. It’s just good business. … The proxy war in Syria, between the US and Russia, now seems to be approaching a critical juncture, where US forces may finally meet Russian forces in battle. Up until now, only allies of Russia and the US have fought each other directly. There was, however, a very close call about six months ago when US forces killed over 200 Russian mercenaries…. The US has attempted several times to get their citizens interested in a full-scale attack against the Assad Regime in Syria but have had only minimal success. The US used news of several chemical attacks on innocent Syrian civilians to paint Assad as a monster. However, there are many who question the legitimacy of these attacks, including people in the West. Just a few days ago, the Russian government warned that US-backed rebels in Syria were planning another chemical attack to blame on the Assad regime. Russia is not taking these potential US escalations lightly, and they look willing to help Assad win the war at high costs. We can see their seriousness by the massive navy buildup in the Mediterranean Sea. 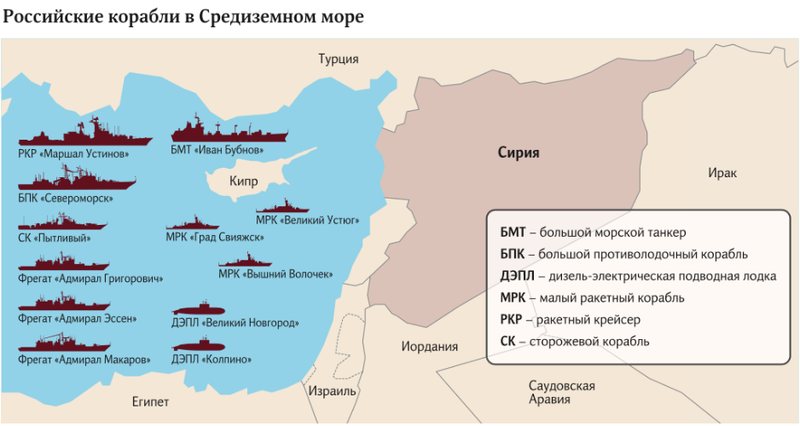 This is the Russian Navy’s largest buildup so far in the Syrian war. The Russians appear like they are ready for a major military operation. This operation may include two key aspects: 1) to help with Assad’s imminent push to rid Idlib of rebels once and for all, and 2) to help deter US forces from making further advancements against the Assad regime. Will we finally see a violent showdown between US and Russian forces? It’s hard to say with a great deal of certainty. But one thing is certain, the US and Russia don’t look willing to back down from this fight. At this point, to the keen observer, it looks like a slow-motion train wreck. And nothing, so far, has made the collision look more inevitable than this massive Russian buildup. Dr. Asseem Malhotra is known as one of the most influential cardiologists in Britain and a world-leading expert in the prevention, diagnosis and treatment of heart disease. Currently, he is leading a huge campaign against excess sugar consumption. What also makes him unique is something he recently admitted took him decades to figure out: that our entire medical system, one of the main ‘protectors’ of the human race, is completely corrupt. He now believes that medical education is a state of “complete system failure,” causing “an epidemic of misinformed doctors.” He also stated that honest doctors can no longer practice honest medicine, and that there is also a growing epidemic of patients who are being harmed…. Since we are down the rabbit hole in this country I’d be the last to discount the claims made in this pdf. The author is a PhD particle physicist so one would think she’s probably not completely off the deep end. Declassified documents reveal years of covert testing of radio/biological substances on large civilian populations in san francisco and st louis. And that was just for the hell of it, no actual attacks were intended although health consequences were likely in a minority of the populations. In contrast, compelling reports out of iraq 10 years ago claimed the use of a lethal directed energy weapon (maybe a hafnium isomer gamma ray laser) being used on civilians there. Also testing for the “hell” of it. Let me put it this way: what’s to stop the permanent government from doing this? The law? Are you kidding? Victims of the Secret Services are attacked by a plethora of weapons and are also often subjected to torture via covert non-consensual implants made from military biotechnology. Examples are radio-frequency emitting microchips that form a Body Area Network, eye implants for image transmission and ear implants for voice transmission, known as Voice-to- Skull technology. This document contains the recommended gadgets and devices for collecting audio-visual evidence and detecting Directed Energy Weapon attacks as well as non-consensual body implants. Different ways of shielding from attacks are suggested….